Finally I decided to open the long box and make a build with Demolitionist. I still think Demo is little underwhelming, but when it comes to Purifier with Fire Strike, Inquisitor WPS, Brimstone and Explosive Strike, I understand how true Demolitionist should look like. So, here's my first attempt to make a Demo build. Like true Demo, it's laggy AF, it's fiery and it kicks asses. Clears Crucible in 8 minutes. 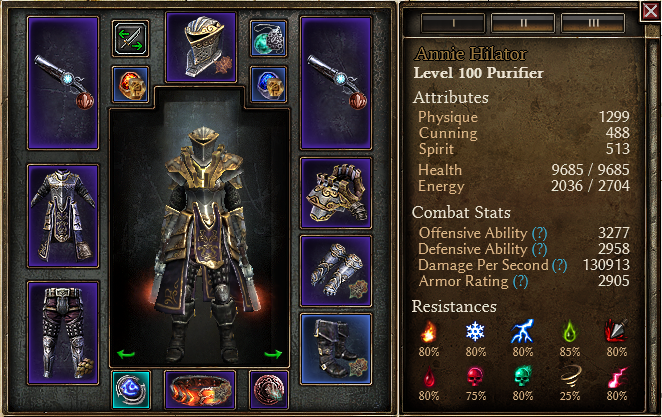 Main damage skill of this build is Fire Strike powered by bunch of Inquisitor WPS and Brimstone. Classic. Key item defining this build is Mythical Exterminus, its wide-range RR skill is immense. Other core sets are parts of Stronghold of the Legion set and Justicar Guard set. Build follows the maximally aggressive devotion route including Fiend, Ulzuin's Torch, Magi and Hydra. 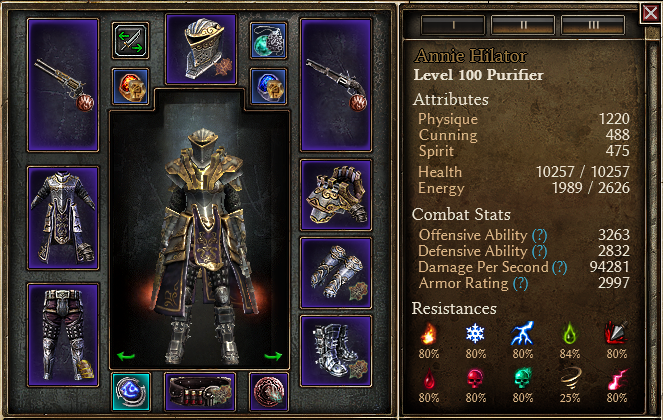 To counterpart low HP this build has Justicar Huard set, Ghoul, Blast Shield, Inquisitor Seal and Flashbang. It's almost impossible to die with this build. Aggressive ranged/melee combat. You basically shotgun everyone and everything in ranged and in melee distance. The only weakness of this build is low Freeze resistance. Drink a Hoarfrost Ointment if you see Moosilauke, he can freeze you at nemeses waves and thus lead to death. Thanks to Safarel who proposed Mythical Exterminus for Fire build. 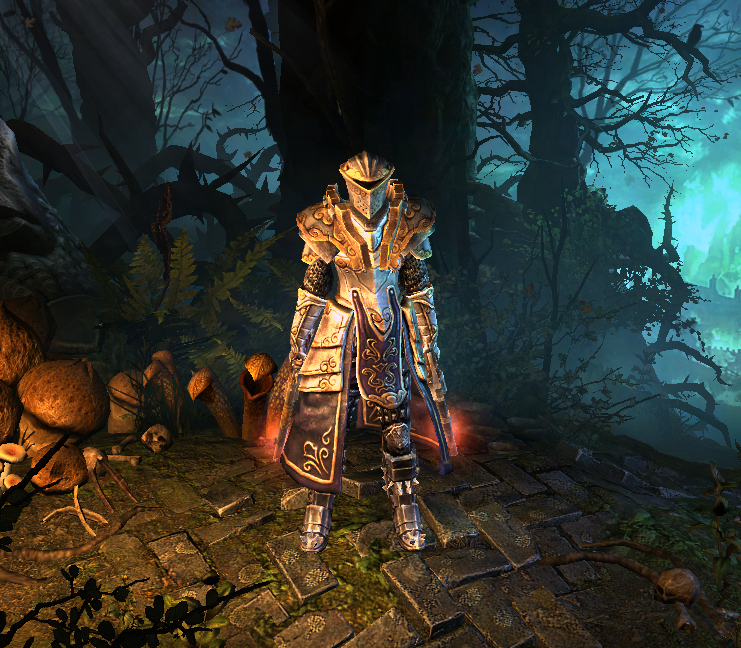 mad_lee - alternative build with double Arcanim Sigillis and various gear enhancements. Last edited by veretragna; 01-18-2019 at 07:12 AM. Nice. I thought exterminus is a strictly chaos gun. Indeed! I was surprised AF. Single RR skill on chaos gun performing on the same level as hardcapped Arcane Empowerment, double Arcanum Sigillis and conversions? I still don't believe, but here it is. Last edited by Nandi; 01-18-2019 at 04:24 AM. "Core of the build" and "Key explanations" looks pretty alike. I think I started editing this chapter but pressed "cancel" instead of "save"
Looking to try a purifier build, would this be okay to level for a newish player? Any recommendations on what skills/devos/etc to focus on first? Or would you recommend another build entirely? Level with double guns through Fire Strike, Explosive Strike, WPS skills and rush to Brimstone. Purifier is probably the most easy class to level for me. Devotions are seen in GT link.